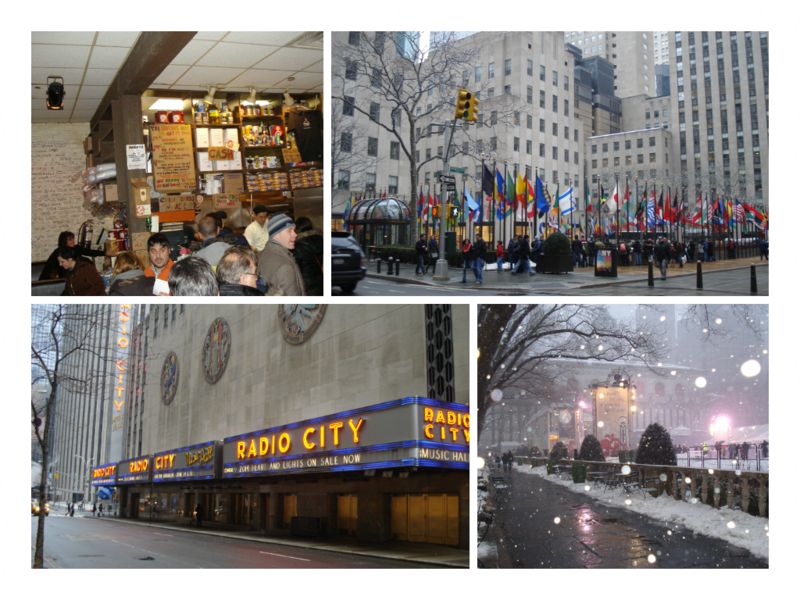 So today, I write about our 3rd day in the Big Apple. To mention, we were both very tired from first days and even a cold coming up; all due to the fact that we stood outside, in the cold, for such long periods of time. That being said, we decided to just take it easy, and stay inside as much as possible. On this 3rd day, the snow was the main attraction, and I honestly can't cope with snow flakes coming into my eyes. No!!! It's just not for me. - First burger @ "Burger Joint"
3 - Tiffany&Co shop and Trump Tower, side by side, both on 5th Av. 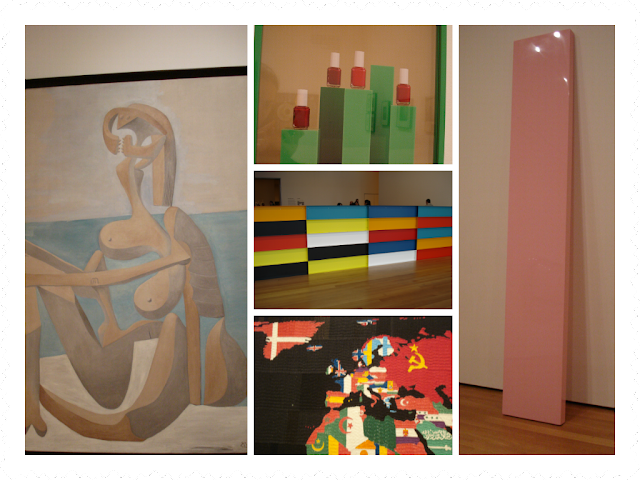 Some examples of Modern Art at the MoMA. I could not resist to the Nail Polish Painting *love*; Picasso also included! 1 - Burger Joint, a nice place for the first burger of this trip! 2 - The Rockefeller square; love to see all those flags together, they do not fight against each other; people should do the same! 3 - Radio City Hall!!! 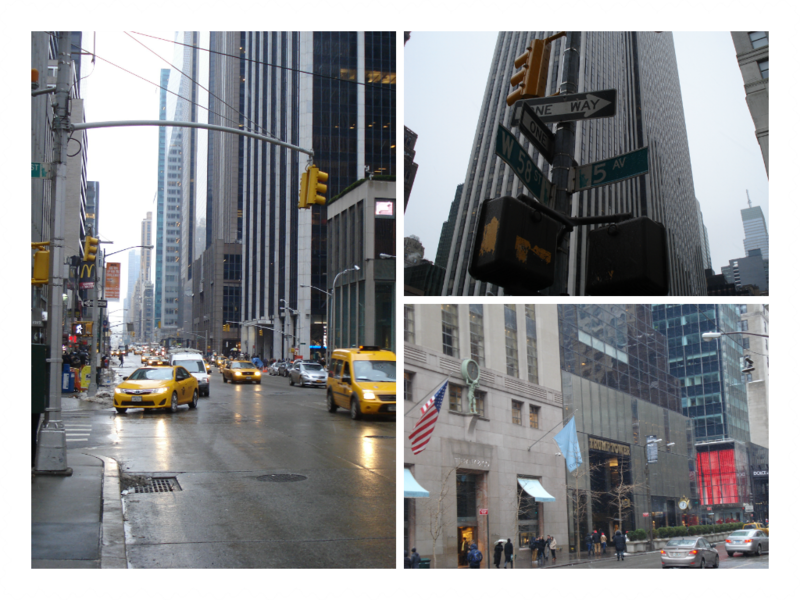 4 - Snow falling at Bryant Park. 4 - Margaritas at Hard Rock!!! Let the party begin. 2) Some of the things in exposition over there were just to "weird" for me; I could not get it and it surprises me to see sooooo many people looking at a bunch of cardboard (or any kind of other junk) and making the most "intelligent" assumptions about what the artist wanted to express... Please, give me a break! 3) It's a nice place to see Trendsetters; at a certain point in time, I asked myself: "Is the Fashion week already over or it just changed location to the Museum?!" Nothing further to add, you can imagine what I mean. 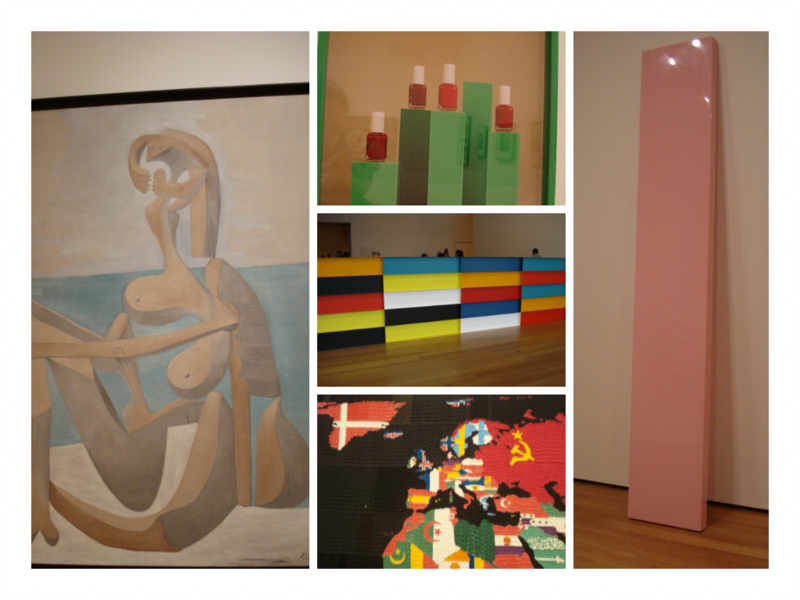 I do like Museums, but the ones that have a story to tell, that are focus on something we did not experienced, that take you to other times/experiences/ways of living/realities and so on... MoMA can be famous but to me, it's just a place not to go. Moving on to the Grand Central Terminal, we passed by Bryant Park which had a skying ring installed and a glimpse of what we could call "Christmas Market"; nice and cute, even more when the snow is falling. 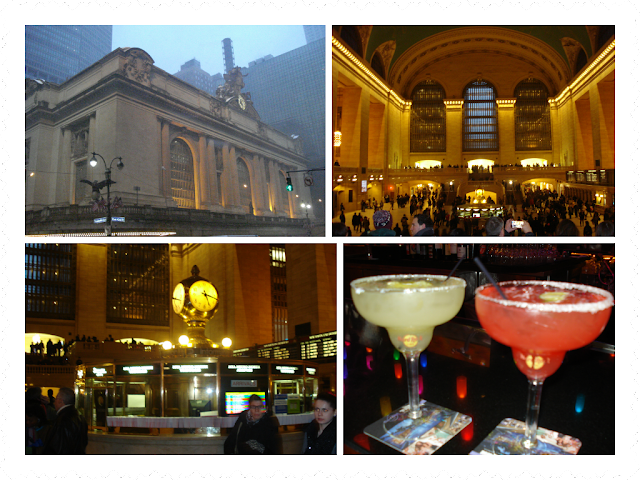 At the Grand Central Terminal, I had the impression I was being transported (how adequate...) to some kind of movie, like the one that Tom Hanks lives in the airport Terminal and so... Super cool place to stop by! The ceiling is impressive!! Writing these diaries makes me wanna go back... NOW!